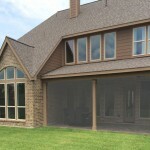 Ready Decks® of Shreveport has been proudly serving Northwest Louisiana for 10 years. President and family man Michael Sylkatis has a passion for finding a way to get every one of his customers the Ready Decks product they need and he wastes no time making it happen. He has an excellent team that takes much price in their work. Michael has recently launched the new Ready Docks line and is finding instant success in making his customers dock dreams a reality. 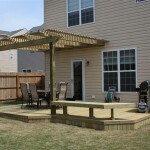 Call Michael and his team today to get your new Ready Deck! Ready Decks of Louisiana services all of Northwest Louisiana north to Southern Arkansas and south to Natchitoches, east to Minden and west to Texas. Opened in 2004 by the founder of Ready Decks Bradley Johns, there are now more than 1,700 satisfied Ready Decks customers in the area! Michael Sylkatis operates this location. 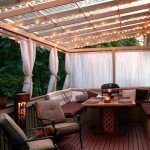 Ryan has been a crew leader for the last 3 years and has vast knowledge and experience in building decks and porches. Alesia is the office manager and is also in involved with sales and scheduling. Her knowledge and expertise is preferred by many customers when making decisions on the size and design of their decks and porches. Call, come by or email Alesia or Michael to have them make your dreams a reality today! 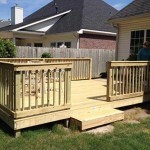 In addition to offering all Ready Decks products, Ready Decks of Louisiana also offer Ready Fences and Ready Docks, building stationary docks, boathouses and floating docks.